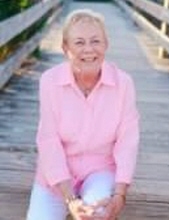 Joyce Alice Ashe, 71, passed away with her loving family by her side after a brief illness on Tuesday, January 22, 2019 in Myrtle Beach SC. The cause was Acute Interstitial Lung Disease. Joyce was born on April 30, 1947 in Plainfield, Connecticut to the late Alphonse “Fuzzy” Coulombe and Rose Caron Coulombe. Joyce spent most of her life caring for others as an RN and a case manager, retiring in 2012 from Backus Hospital. Left to cherish Joyce’s memory are her beloved husband, Mr. Ronald A. Dafoe of Murrells Inlet SC and her three children: Pamela Costa and son-in-law Thomas of Pawcatuck CT, John Mathewson and daughter-in-law Lynn of Eastford CT and Amy Mancuso and son-in-law Stephen of Long Valley NJ. She is also survived by five grandchildren: Luke and Eric Mathewson, Liam Costa, and Olivia and Samantha Mancuso; her brother, Robert Coulombe and sister-in-law Carol Evans; her nephew Robert S. Coulombe and niece Julia Rose Coulombe. She also leaves behind many cousins, supportive friends and neighbors. Joyce was predeceased by her former husband, Retired Navy Petty Officer, William Christopher Ashe and brother Thomas Coulombe. Joyce was a passionate woman who loved with her whole heart. She was a proud mother and grandmother and her greatest joy was spending time with her family. She also enjoyed playing cards, dancing, cheering the Patriots and she loved her guinea pig, Frosty. A celebration of Joyce's life will be held on Sunday, February 17, 2019 at Dougherty Brothers Funeral Home, 595 Norwich Road, Plainfield CT between the hours of 2:00-4:00 PM. A Mass will be held on Monday February 18, 2019 at 10:00 AM at St. John's Catholic Church, 10 Railroad Ave, Plainfield CT. If you would like to make a donation to the American Lung Association in honor of Joyce, simply click here or visit www.lung.org to donate. To send flowers or a remembrance gift to the family of Joyce Alice Ashe, please visit our Tribute Store. "Email Address" would like to share the life celebration of Joyce Alice Ashe. Click on the "link" to go to share a favorite memory or leave a condolence message for the family.